Crypto Dukes Review, Scam Crypto Dukes App Exposed With Proof! Binary Scam Alerts » Cryptocurrency Scam Reviews » Crypto Dukes Review, Scam Crypto Dukes App Exposed With Proof! The Crypto Dukes software, app, and fake automated trading system (AKA Robot) by Jaden Monahan is a blacklisted crypto SCAM and a confirmed get-rich-quick binary options scheme. Please be advised, our staff has produced conclusive and indisputable proof and evidence of SCAM and foul play so hold on to your wallets before you risk diving into this thieving piece of trash technology. Warning, the slimy crooks pulling the strings behind the Crypto Dukes software are associated with a very well-known and unethical affiliate network, and this time we will expose their name and true intentions. It’s not every day we shed light on the modus operandi of sophisticated fraud rings and connect the dots of how a scam like Crypto Dukes really works. However, today we made an exception and despite ongoing threats and demands from various shady characters we have made a conscientious decision to put the welfare of our members and viewers first and inform them immediately about the Crypto Dukes SCAM and its inner workings. Additionally, today we found out another problem with this system has to do with the fact that it is a copied version of similar scams such as the Ethereum Code. Keep reading our insightful and detailed Crypto Dukes Review to see why we believe this crypto software is neither legit nor genuine. Below is the main sales page and registration area for the Crypto Dukes software where it is presented as an “exclusive crypto traders community” by Jaden Monahan (notice the typo as well). And here is a screenshot taken from the testimonial section. It’s plain to see that there is not one single genuine testimony presented to us and this is just another farcical sham designed to drain your bank account and leave you penniless. Here is the last piece of the puzzle. I know many of you are dismayed and totally oblivious as to how this vast industry operates. Well, here is how it works. The screenshot below describes one of a few networks which have latched on to this offer and decided to promote it. It is plain to see that “offer vault” is marketing this system as a binary options software in the guise of a legit business or money-making opportunity. We have highlighted this section for you so you can see. It is also obvious that they are offering 12 Dollars for every valid lead (CPL = Cost Per Lead) originating from Australia or the United Kingdom. This means that the net has been cast and now the fish (that’s you) are being targeted for the scam. Crypto Dukes Review – A Real Bitcoin Community? The short and snappy sales presentation starts off immediately when Monahan states that Crypto Dukes was created as a “bitcoin-dedicated hub for the best traders” and designed to serve the interests of the Bitcoin community. Then there is the usual spiel about how cryptocurrencies will change how we will use money and how people who are invested in BTC can make a 2000% return on their investment. Then he claims that they have set a goal to educate the next generation of Bitcoin traders, and only if you have a real “passion for Bitcoin” you can join the program. They also claim that there is only room for 150 traders to apply, so if you want to get in on the action you must act fast as spots are being filled very fast. He is the fake founder and CEO of Crypto Dukes and a fictitious persona invented by clever online promoters. Is Crypto Dukes Scam or Not? Yes, the Crypto Dukes SCAM has already tricked some of our members into funding a real money trading account under false pretenses. No it is not. Joining this cheap program will cost you at least $250, and that money will be charged to your credit card by rogue offshore brokers who are not really interested in providing a beneficial service or engaging in ethical business practices. We have seen a few of these as well, and today we know that these reviews are published by seemingly legit or “honest” reviews sites. However, these people are actually affiliates receiving bribes in the form of commissions for endorsing this offer. As we have clearly demonstrated, they are getting 12 Dollars per valid registration. The ones to watch out for are Maximus Cryptobot and Bitcoin Trader. What we are witnessing here is a classic get-rich-quick crypto scam. All the tell signs are clearly evident as we can see hyped up and exaggerated claims of easy money, inflated bank accounts, fake testimonials, and outright lies and fabrications. Monahan is also an actor and there is no LinkedIn or Facebook address to validate his real identity. There are dozens of fake trading systems being launched on a daily basis, and all of them offer you vast riches at the click of a mouse. Fortunately our staff has implemented a rigorous screening process and selects only the best and most consistent money-making machines. These are all proudly showcased in our recommended section. 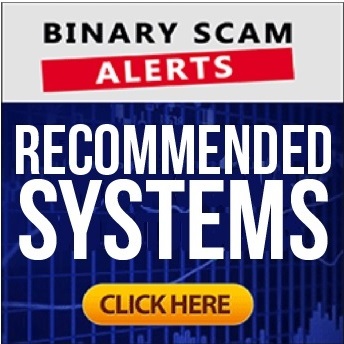 As we have clearly proven without any shadow of doubt, the Crypto Dukes fake automated signals system by Jaden Monahan is a blacklisted binary options scam disguised to look like a legit crypto app. The affiliate marketers promoting this sham (for the lack of a better word) are complicit in a confirmed financial crime and should be reported to the authorities. We have also heard the crooks behind the Crypto Dukes scam are involved in HYIP’s, fake ICO’s, fraudulent faucet schemes, and Ponzis. These thieves are well-known in the industry and have a checkered past relating to criminal activities involving credit card fraud, identity theft, software manipulation (rigged and set to lose), and tax evasion. In light of the overwhelming proof and evidence our staff was able to produce, we have no choice but to advise our members and viewers to seek alternative and more genuine investment channels and avoid the blacklisted Crypto Dukes scam at all costs. Don’t forget to join our Facebook Group and YouTube Channel, as that is where we try to answer your questions and respond quickly.